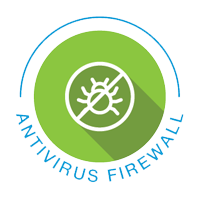 Once malicious content became a “thing”, antivirus software for your computer or endpoint became a necessary investment. Then viruses evolved to “malware”, and you needed to add anti-malware to your endpoints. Now as hackers continuously modernize, improve and evolve their attack methodologies it requires an even higher level of protection to avoid having your computer become an infected mess. Enter Next Generation Endpoint Protection (NGEP). So what exactly does NGEP actually do? This varies from vendor to vendor but in simplest terms, it looks for behavior beyond the know signatures of existing viruses and other malware. Some will try to “explode” the potentially malicious content in a “sandbox” or safe place before letting it on to your computer. Others will use cloud based repositories to analyze the behavior of the content. Some go as far as tracking the malicious changes that the content makes so it can roll them back and return your computer to health. Its most important to know that these types of software go further than traditional endpoint protection such as antivirus and anti-malware. As all environments are different and have different technology in place already, ask your IT department or managed security provider what might be right for your organization to help ensure you are doing what you can to avoid becoming a victim of the latest cyber terrorism. ← How do I know if a company that I want to buy is a good fit? If you have ever seen an ethical hacker modify a virus, ever so slightly, and have it bypass traditional AV you would be convinced of the need for this type of product.